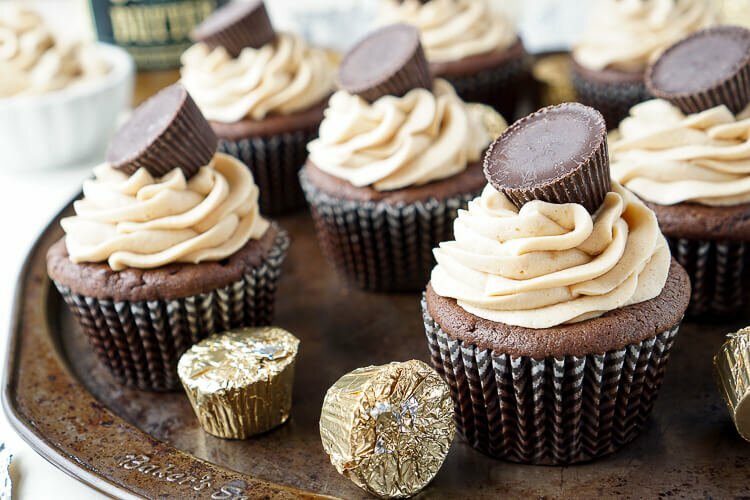 These Cookie Butter Chocolate Cupcakes are rich, sweet, and easy to make! An adapted cake box mix makes up the moist cupcakes and then they’re topped with a silky smooth cookie butter frosting and a cookie butter cup! 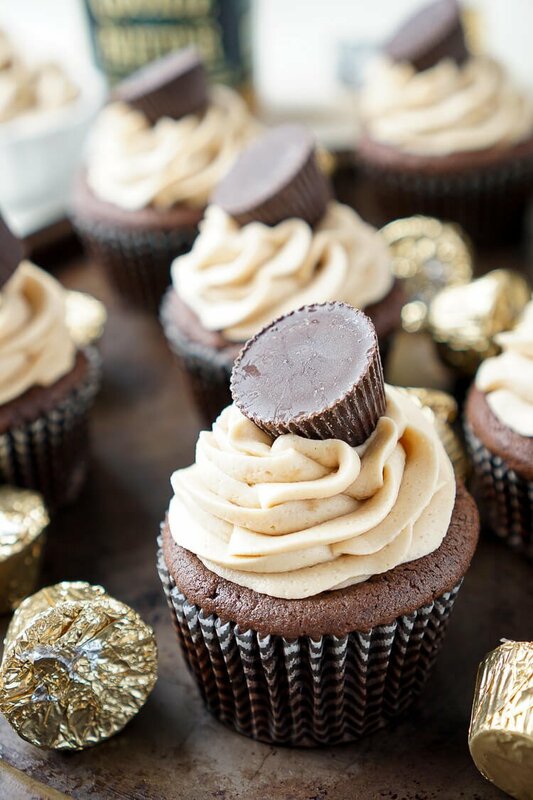 These Cookie Butter Chocolate Cupcakes are downright sinful! So I’m not sure why, but you guys have seriously loved my Cookie Butter Frosting since I shared it last week, especially on Facebook! I mean, I get it because it’s so good, but I’ve never had a recipe instantly receive so much love. I guess that tells me that there are a lot of cookie butter lovers out there! However, it still seems like anytime I post a recipe with cookie butter in it, people ask what it is. So let’s take a few minutes and talk about it, shall we? Cookie Butter originated in Europe and for the most part, there are two big brands. Speculoos Cookie Butter which can be found at Trader Joe’s and Biscoff Spread which can be found at most major grocers. While they are both technically the same thing, they are different. Think Coke and Pepsi. The spread is similar to, but a little thicker than peanut butter and is made of crushed biscuits (thin European cookies). Because it’s so similar to peanut butter, it’s easy to sub cookie butter for it in recipes. Hence, my inspiration for my Cookie Butter No Bake Cookies, Cookie Butter Balls, and my Cookie Butter Frosting. 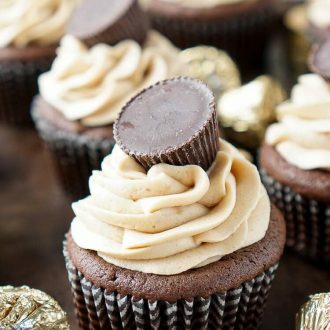 But it’s this combination of that frosting and my chocolate cake that makes these cupcakes the most requested dessert by my family! I’ve made these cupcakes again and again since I discovered cookie butter three years ago and I think I’ve taken photos of them three different times, but this time they’re finally making it on the blog! Therefore you guys no longer have to be kept in the dark and can enjoy this great recipe too! 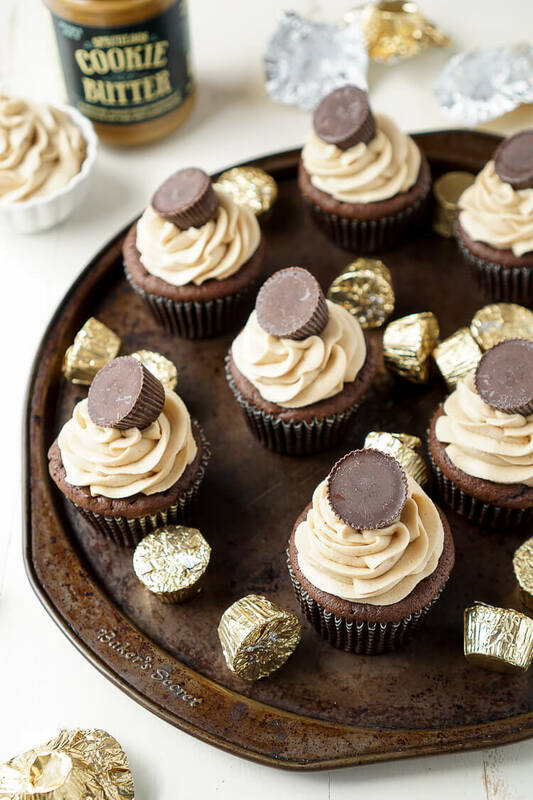 These Cookie Butter Chocolate Cupcakes are rich, sweet, and easy to make! An adapted cake box mix makes up the moist cupcakes and then they're topped with a silky smooth cookie butter frosting and a cookie butter cup! Preheat oven to 375 F. Line cupcake pan. Fill cupcake liners ½ - ¾ full. 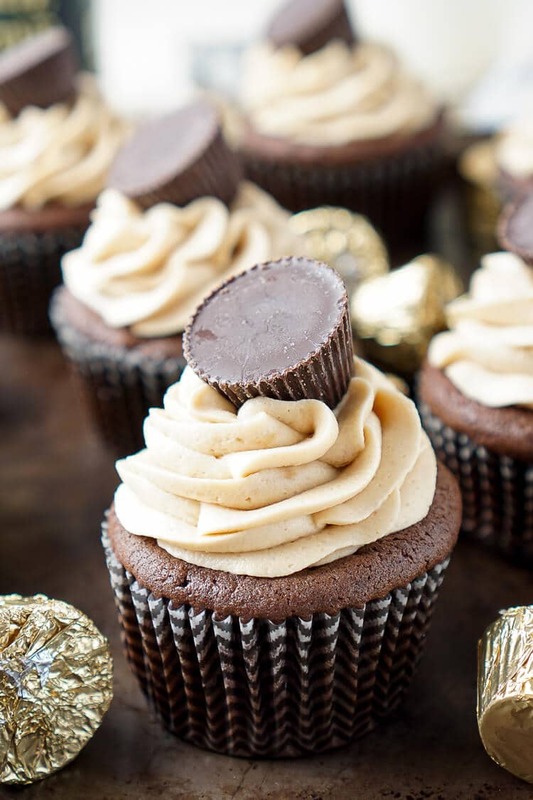 Prepare frosting according to recipe directions and pipe onto cooled cupcakes, top with an unwrapped cookie butter cup. OMG WHAT?! I wish I could try that cookie butter. WOW sounds so friggin’ amazing. Actually above and BEYOND amazing! TJ’s has so many products I wish I could try!! You are going to love it, it’s so addictive! 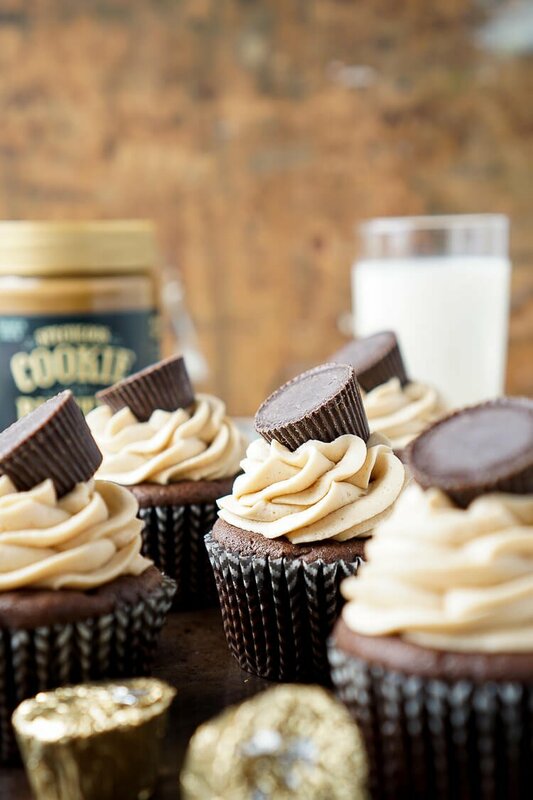 Where can you find cookie butter cups?? I bought mine at Trader Joe’s, but I’ve heard they’ve recently discontinued them, I’m so bummed! Im in europe and can find speculoos but not 1 Box Duncan Hines Dark Chocolate Fudge Cake Mix or Jell-O Instant Chocolate Fudge Pudding. Any idea how i could make them?